Do the Arts Make Us Depressed? I came across an article claiming that teens involved in the arts harbor more feelings of depression than teens not in the arts. This grabbed my attention, because I have been taking art classes since 10th grade. Not only was art my favorite class in high school, but it became my escape from other stressors in my life. Doing art for hours a day absolutely heightened my mood and relieved my stress. I would stay after school for hours to do art because of the way it affected my mood and overall happiness. Because my personal reaction to art is nothing but positivity, I was absolutely shocked when I saw an article regarding how the arts are somehow linked with depression. Researchers, led by Laura N. Young, MA, looked at data regarding the extra-curricular activities of 2,482 students ranging from ages 15-16 from the United States Longitudinal Survey of Youth. They surveyed these students by first asking how often they participated in after school activities, and which activities they were involved in. The survey then asked how often the students felt gloomy, agitated, and other common symptoms of depression. The results showed that students involved in after school arts programs generally reported higher scores on the depression survey. Although my initial reaction to the article title was that the arts cause depression, I realized this is most likely not the case. Extra sensitivity to stimuli in the environment. While this could be a cause for depression, it could also be a cause for creativity. Creativity is correlated with artistic ability, thus drawing these types of people to the arts. This would mean that being in the arts has absolutely nothing to do with depression, and the cause for higher rates of depression is due to a common character trait among young artists. Therefore, this extra sensitivity would be a confounding variable. Introversion. Introversion is often more prevalent in people with depression. Introversion is also a trait of many people who enjoy art as an extra-curricular activity, because art does not demand that a person expresses himself or herself directly. Whether it be music, theater, drawing, or painting, none of these activities demand direct expression of emotion. All expressions can be displayed through in an indirect way. Therefore, introversion would be the confounding variable between the arts and depression. This got me thinking about the types of people in my high school studio art class. When we had critiques, many of them were nervous to speak. Many were reluctant to share their work with the class. These same kids often did their drawings and paintings on personal struggles in their lives. For example, one girl’s entire concentration was her progression through her chronic depression. In each piece, she would use less black and more light to portray her transformation to a stable state. These students always seemed happy during class time. They always seemed to be genuinely enjoying themselves while they were working. From this, I gathered some of my own explanations. Depression causes people to join the arts. The arts could be an outlet of relief, distraction, etc. 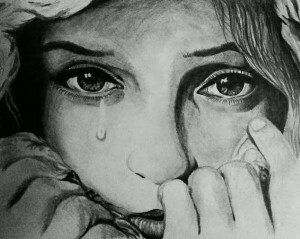 Therefore, people who are depressed look to the arts to overcome these emotions. Could this be why the girl’s concentration showed a progression away from depression? Could drawing be causing her to overcome her mental illness? This would mean that my initial question would actually be backwards. Therefore, this would be reverse causation. I find the possibility of reverse causation in this case to be much more provable than my initial question. People who aren’t in the arts may not be properly addressing their feelings. These students may have filled out their surveys dishonestly (either intentionally or unintentionally depending on the situation) because they do not have the same ability to express themselves in their spare time. The arts give students the freedom and time to look deep within themselves, while sports players are not necessarily able to stop and think about themselves. This would mean that teenagers in general face depression, and maybe even more so the ones who don’t participate in the arts. This would completely botch the results of Young’s study. I really think this would be an interesting thing to study, but it would be nearly impossible to determine if students are telling the truth or not. I believe that all four conclusions presented by both the authors’ and myself are viable possibilities for higher depression scores in art students. If anything, I think that the arts either positively affect students, or don’t affect them at all. After personal experience, observation of my classmates, and analyzation of this article, I do not believe that the arts have any direct hand in causing depression. This entry was posted in Uncategorized on September 26, 2016 by Rachel Sara Anton. Cold medicine: relief or placebo? We’re one month into college and the plague has already hit. In every lecture hall coughs echo off the walls and I find myself cringing at the symphony of sickness that surrounds me. Although I may not live in East, the plague has still hit my room. The other day I walked down to McLanahan’s for some vitamin C and came face to face with empty shelves where cold relief should have been. Keyword there: relief. I’m a person who would prefer to ride out a cold instead of pumping myself full of drugs that really do little to no good for me. But other people, my dad for example, love to purchase every cold and flu remedy found in a local pharmacy. While I feel as if cold medicine is just a placebo, my dad swears by it. Which leads me to ask my question: Is over-the-counter cold medicine effective or just a head game? Taking over the counter cold medicine improves a sick person’s health. Taking over the counter cold medicine improves a sick person’s health if they are convinced by the placebo effect. Luckily, back in 2011 a group of researchers at the NIH were just as interested in cold medicine and its possible placebo effect as me. For their randomized controlled trial, the scientists picked 714 study participants who were currently fighting some form of a cold. These 714 infected people were split into four categories that I have creatively named below in order to keep them all straight (for my own sake). The Sufferers: These people were given no relief for their symptoms, simply waiting for their illness to pass. The Blind Sheep: This group was blinded to Echinacea, not knowing what kind of over the counter medicine they were receiving, or if it was effective. The Extra Blind Sheep: These participants were blinded to placebo, which should not improve their health any more than not ingesting medicine would. The Holy Grail: The luckiest group was given open-label Echinacea, meaning they were fully aware of their over the counter medicine consumption. At the end of the study, researchers recorded the statistics for each sub-category, the most interesting being the average span of the illness for each group. While the group of Sufferers endured their illnesses for a mean of 7.03 days, the Blind Sheep (6.34 days,) the Extra Blind Sheep (6.87 days,) and the Holy Grail (6.76 days) all overcame illness in a relatively similar time-frame. The most notable observation from this data is that the Blind Sheep (those blinded to Echinacea) had the quickest recovery time. Does this mean that patients blinded to actual cold remedies always recover faster than those who know exactly what’s going on? From this study, I honestly think it’s hard to tell. Only 714 people were involved, and although the numbers for participants who took pills (placebo or Echinacea) are in fact lower than those who simply endured, the numbers really didn’t seem substantial enough to prove either of my scenarios more than the other. In fact, the lower numbers for both placebo and Echinacea point to the possibility that both scenarios could be plausible. A little confused, I turned back to Google and stumbled across this Washington Post article written by Carolyn Y. Johnson that condemns the use of over the counter cold drugs, citing three different case studies as part of her evidence. Two of these studies focused on the decongestant drug phenylephrine, which is an ingredient found in many cold and allergy medicines sold in drugstores. The most recent of the two was completed in 2015 and tested the effectiveness of Phenylephrine hydrochloride versus a placebo. This trial was completely open-label, and 539 participants were randomized into two separate sub-groups. One took increasing dosages of 10, 20, 30, 40mg over the experimental period and the other ingested placebo over the seven days. The biggest data measured was the average change from baseline (the first day) over the whole treatment period, calculated from a daily “score” of nasal congestion. Circling back to my original question, I feel as if the second scenario is the plausible answer. While others could argue that the over the counter medicine used in both studies I’ve cited did in fact alleviate and improve the cold symptoms of sick people, I can assert that those who took placebo improved at almost the same rate as those who had actual drugs. 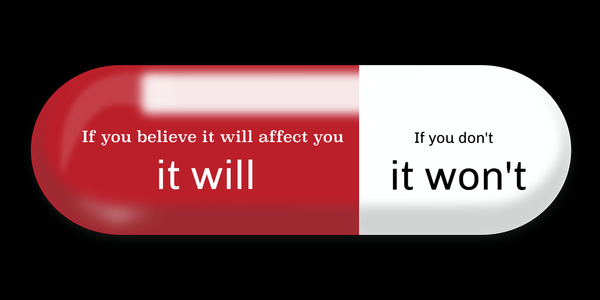 Neither of the studies analyzed whether its participants that were given actual medicine believed in the placebo effect, so how can we be sure that they didn’t just improve because they have faith in the power of medicine? So, SC200, my question to you is this: Are you one to take over the counter cold medicine? Do you find it to be effective? If so, have your feelings changed after reading this? In all honesty, mine haven’t. I still won’t be wasting my money on medicine that doesn’t help, but then again, I’ve always gotten by as one of The Sufferers. This entry was posted in Uncategorized on September 26, 2016 by Mary M. Brown.